The Falcons defeat Beaverton, Aloha, and Corvallis while dropping game to Westview. 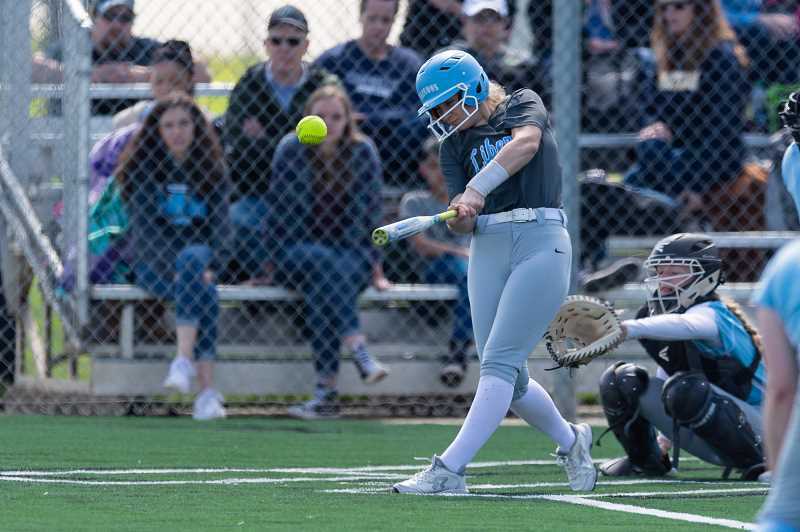 The Falcons' softball team finished last week's spring break Glencoe Tournament with a 3-1 record, dropping a game to Westview while garnering victories over Beaverton, Aloha, and Corvallis, 11-6, in their tournament finale. But while 5-4 and already halfway to their win total of a season ago, it's not just the wins and losses that have Liberty head coach Jordyn Brown excited about this year's team, but rather how they're doing. "I feel really good about the team," Brown said. "We're always improving and every game we seem to be taking steps in a positive direction. Someone new is always stepping up and in practice, the girls are working hard and that's really good to see." The Falcons are led by seniors Raegan Kirsop and Angelica Colbert, who Brown said have really embraced their roles this season as leaders both on and off the field. In addition to being two of their most talented players, the coach said they've accepted the fact that it's at times up to them to set the tone on the field, in practice, and in the dugout cheering on their teammates. "Our team is gaining confidence and our leaders are really stepping up and showing the other girls how its done," the coach said. "Our two seniors, Raegan Kirsop and Angelica Colbert, they've really stayed on the girls and are really good at cheering the other girls on as well. And that's big." Brown said that wasn't always the case. Not specifically with her seniors, but with the team who needed a bit of figurative kick in the pants earlier in the year from a coach who wasn't seeing what she felt was an important aspect of any good team. "It had been a bit of a struggle," Brown said with a chuckle. "But after a weekend earlier in the year, we got after the girls a little bit and gave them something to work towards, and they seem to be really buying in. In our last game against Westview, despite losing, they battled, and that's all I can ask for." On this day, in their final tournament game versus Corvallis, after a scoreless first inning and a 1-0 deficit heading to the second, the Falcons scored four in the second, two more in the third, then blew the game open over the final four innings for a five-run win. 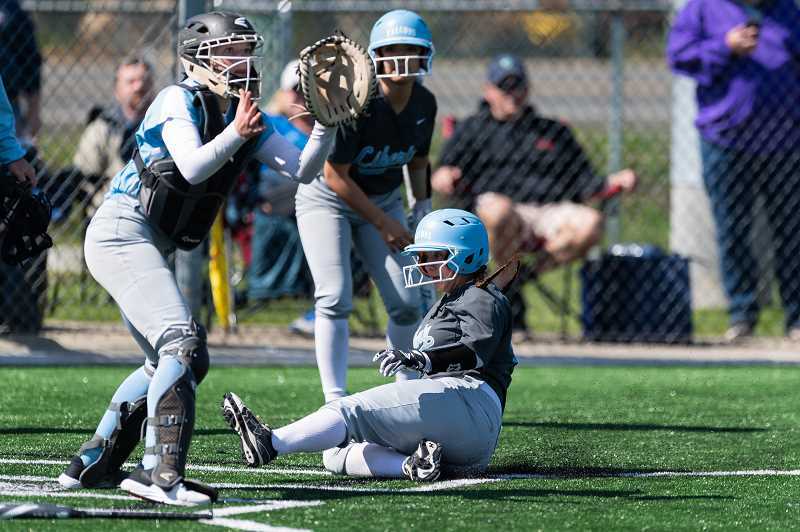 While much of their success in the Glencoe Tournament came at the plate, where they averaged 7.5 runs per game and a roughly equal amount of hits, they also excelled on the mound, where freshman Abby Blair threw a no-hitter in a 10-0, five inning win over Beaverton, earlier Friday, March 29. Coach Brown noted a number of standout individual performances over the two days of games, but leaned more heavily on the team's attitude throughout as a positive going forward. "Against Corvallis, it was a slow start," she said. "We didn't start hitting until the end, but the girls never gave up and they never give up, and that's the biggest thing with my team. High, low, they're always consistently cheering and staying up. That was the big turnaround in this game and what will make us better as the season goes on." The coach said the tournament was another step in what she hopes will continue to be a positive direction, along with a nice tune-up for the upcoming league season which begins April 12 with a game versus McMinnville. Brown emphasized the wins, along with their loss to Westview of the Metro League, will serve not only as a confidence builder, but also as a means to addressing "fixable mistakes." "It helped us playing Westview the other day because they really took advantage of every mistake we made," said Brown. "So seeing that gave us a good idea of what we need to work on heading into league and take some positive steps. We're excited to get started." Liberty will travel to Sprague and Aloha this week, and will host Centennial and Beaverton next week before their Pacific Conference opener versus Mac.